All Good Things Must NOT End! Purchase any kit and receive 20% off your backing. All Fall, Halloween and now CHRISTMAS fabric is 20% off!! This beauty is now in the shop and ready for you! 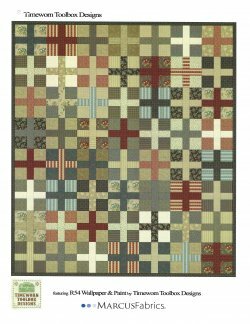 At only $14.95 per month for seven months, you will love how easy, fun and simply gorgeous this quilt is! This all wool beauty starts December 1st. Spots are filling up fast. The price is $57.95 and includes everything you need for the top, binding and backing. These hand dyed wools are simply stunning. Call to sign up now. 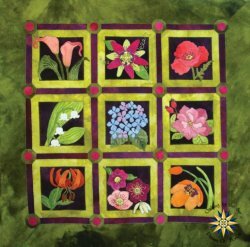 Judy is back from Quilt Market in Houston and the shop can't wait to show you everything we found and have in store for you. Mark your calendar for December 9th from noon to 3:00 p.m. to be the first to get your hands on our market finds and sign up for the new classes and clubs we will be offering. Event includes refreshments of wine, fruit, cheese and crackers. Our little holiday cheer to you!